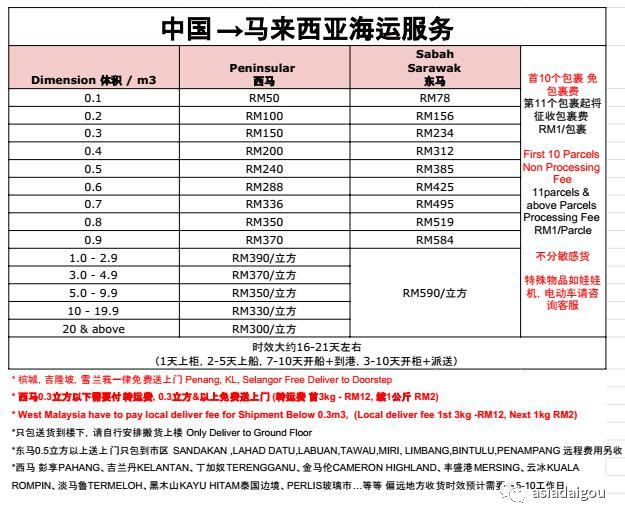 *Other areas in West Malaysia less than 0.3m3 have to pay courier transport fee, and more than 0.3m3 free deliver to doorstep. At present, all parcel are packed with woven bags (waterproof). If you want the boxes packed will be charge RM5/ box.